Mass Effect is fancy, don't you know? Fancy enough to wear suits. And all it takes is a fancy camera and a wonderful costume to bring Pokémon ladies to life. 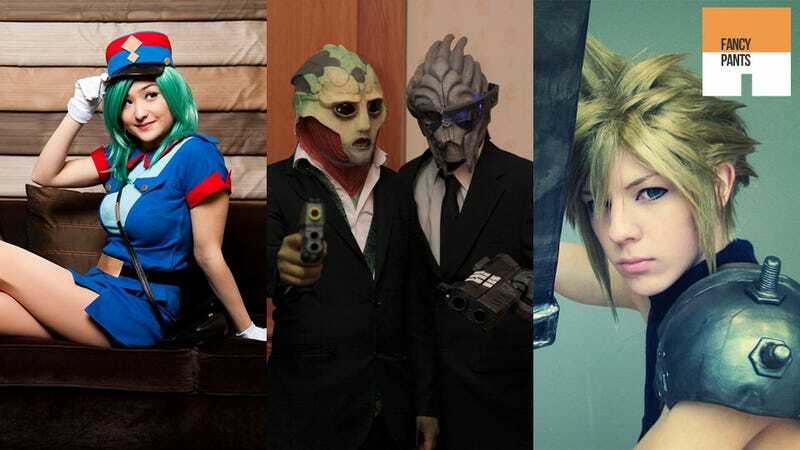 Those, and more hard truths in cosplay, can be found in this week's Fancy Pants roundup. We've also got an incredible Cloud from Final Fantasy, a human being pretending to be a robot dressed as a human, gender-bending Left 4 Dead cosplay and somebody dressed up as box art. Yup. Box art.